Trout Creek’s central location is very convenient to several day trip possibilities. Check out some of these when you visit! Garlyn Zoo is a great attraction for the entire family to enjoy. 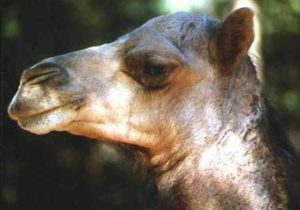 Have you ever seen alligators, American black bears, cougars or camels in the wild? These animals have been hand raised and are friendly and enjoy seeing people visit them. You will be able to view, feed and pet a variety of these animals. The park is open from April 1st through October. Located on US 2 in Michigan’s Upper Peninsula, this is a one hour and 45 minute drive from Trout Creek. 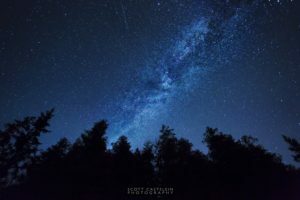 In early May 2011, Emmet County was awarded International Dark Sky Park designation for the Headlands property — just the sixth such park in the United States and the ninth in the world at the time (a couple more have been named since). The Headlands is located just 31 miles north of Trout Creek and well worth the drive. The park is open year round 24/7. For more information about the park and the many wonderful programs that they offer please visit their website. This 38 mile waterway has been called “one of the most beautiful small boat trips in the country”. Families will enjoy a day of fun on the water among lakes, rivers & wildlife. Considered federal waters, the Inland Waterway begins at Crooked Lake and connects a series of rivers & lakes all the way out to Lake Huron. Ski boats, pontoons & jet skis are all available for rental at the Windjammer Marina on Crooked Lake. Have you ever toured a candy factory? It is fun and interesting at the same time. Kilwins Chocolate Kitchen is located in Petoskey, just 15 minutes from Trout Creek. Take your tour and watch how chocolate candy is made. After the free guided tour you are sure to enjoy their free samples! The Little Traverse Wheelway offers 26 miles of paved trailway along the shores of Little Traverse Bay with beautiful views, picnic areas along the way and it is only open for non-motorized use. Hikers, cyclists, runners, walkers and inline skaters are welcome to share this quiet trail year round. Ask for a map of the Wheelway at our front desk. You will love your day exploring the bay, Petoskey, Harbor Springs and Charlevoix. For bike rentals, including fat tire bikes, Latitude 45 in Petoskey will set you up! This video is courtesy of the Petoskey Area Visitors Bureau. A definite “must see” is the Mackinac Bridge. 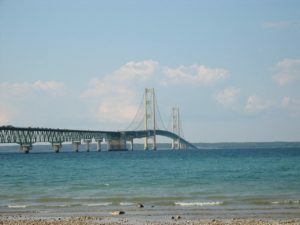 This beautiful 5 mile bridge connects Michigan’s Lower Peninsula to its Upper Peninsula. Other than by boat or plane, this is the only other way to reach the U.P. Since there are so many fun day trips & things to explore along the way, you will not want to miss a trip over this bridge. 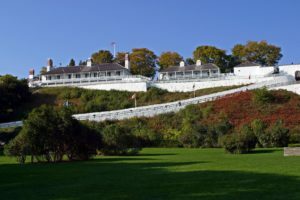 Plan to spend a full day on Mackinac Island. Ride the Shepler’s Ferry from Mackinaw City and prepare to take a trip “Somewhere in Time.” A great place to enjoy all that northern Michigan has to offer. This gem is a perfect day trip that offers a little bit of everything. Take a tour around the island by renting bikes (or bringing your own), hiking, or, since automobiles are prohibited on the island, a horse drawn carriage. The Oden State Fish Hatchery is a short 10 minute drive from Trout Creek. The Hatchery is not only educational but fun for adults and children alike. The original Fish Hatchery was established in 1921. A new complex was completed in 2002 and is one of the most advanced fish culture facilities of its kind. Free hatchery tours are offered daily in the summer. 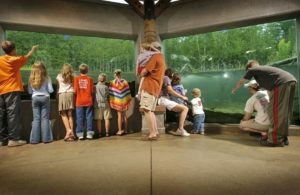 Feed and view fish at the trout pond, enjoy new interpretive exhibits and interactive displays. See fish through a below ground glass Stream Viewing Chamber in a restored cold water trout stream. Definitely worth the trip! Oswald’s Bear Ranch is the largest in the United States. 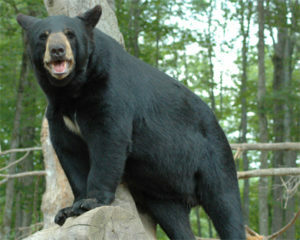 Located in the Upper Peninsula, 117 miles from Trout Creek, this complex boasts having 29 bears who live there. Although it is a fair distance from us…it would make a fun family day trip. Pond Hill Farm is open year round. 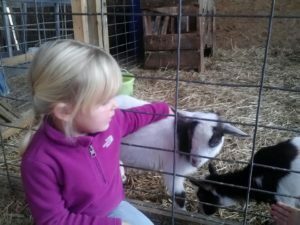 Feed the farm animals & fish, watch the pig races, pick your own berries, shoot the squash rocket and enjoy homemade canned goods and produce. The Harbor Springs Vineyards & Winery is also located at Pond Hill Farm. Enjoy their delicious wines and hard cider in their tasting room. This really great day trip is just 10 minutes from Trout Creek. The St. Mary’s River is the only water connection between Lake Superior and the Great Lakes. 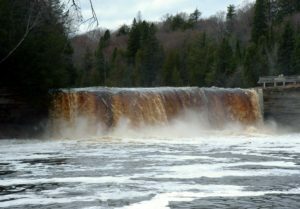 However, there is a section of the river known as the St. Mary’s Rapids where the water falls 21 feet from the level of Lake Superior to the level of the lower lakes. It became necessary for the construction of the Sault Locks in Sault Ste. Marie. The drive from Trout Creek is about 1.5 hours. Not only will you get to experience the Locks but you will also be traveling over the Mackinaw Bridge into Michigan’s Upper Peninsula. Tahquamenon is the second largest State Park in Michigan offering over 38,000 acres. This wilderness area is preserved in it’s natural beauty with few public roads. The Upper and Lower Falls are two of the most beautiful in Michigan and one of the largest waterfalls east of the Mississippi River. Besides enjoying the falls, the area offers 40 miles of hiking/cross country skiing trails and 13 inland lakes. Located in the Upper Peninsula near Paradise, this is a 2 hour and 45 minute trip from Trout Creek….definitely worth the drive! 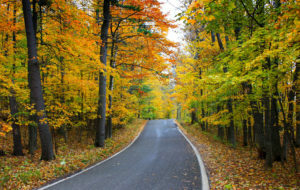 The Tunnel of Trees is one of the most famous stretches of scenic highway in America. Nothing will top a bike ride or car trip through the Tunnel of Trees in the fall. Summer is a beautiful time of year to experience this 20 mile trek which includes 137 curves. This famous fall color tour is something to experience for sure. Travel from Harbor Springs to Good Hart (do not forget to stop at the Good Hart General Store for their chicken pot pie and other snacks) to Legs Inn in Cross Village (where you will definitely want to stop for lunch or dinner).